"Emergency medicine": About the edition | Интернет-издание "Новости медицины и фармации"
Nikonov V.V. - leading researcher of the Department of cardiac surgery and intensive care, state institution "Institute of General and urgent surgery. n.a. 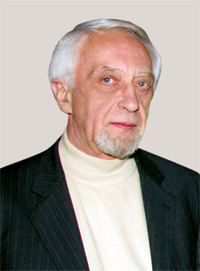 T. V. Zaitsev" of NAMS of Ukraine, MD, Professor, specialization – cardiology, emergency medicine, the highest qualification category. Registration Certificate КВ № 17278-6048 ПР. Issued by the Ministry of Justice of Ukraine 27.10.2010. The journal is included in the new List of scientific publications of the Higher attestation Commission, which can publish results of dissertations on competition of scientific degrees of doctor and candidate of Sciences. Order of the MES from 09.03.2016 № 241. Index for Subscription via Post Office (Ukraine): 94563.